The customer wrote ... Lacking access to drive units, I needed help to transfer files from an old MO disk and various Iomega ZIP disks. Howard was able to process the disks and return the files. He provided a professional and efficient service throughout. About the recovery - The customer asked us for Optical Disk Data Transfer to Email or Download from 230MB Verbatim 3.5 Optical Disk. 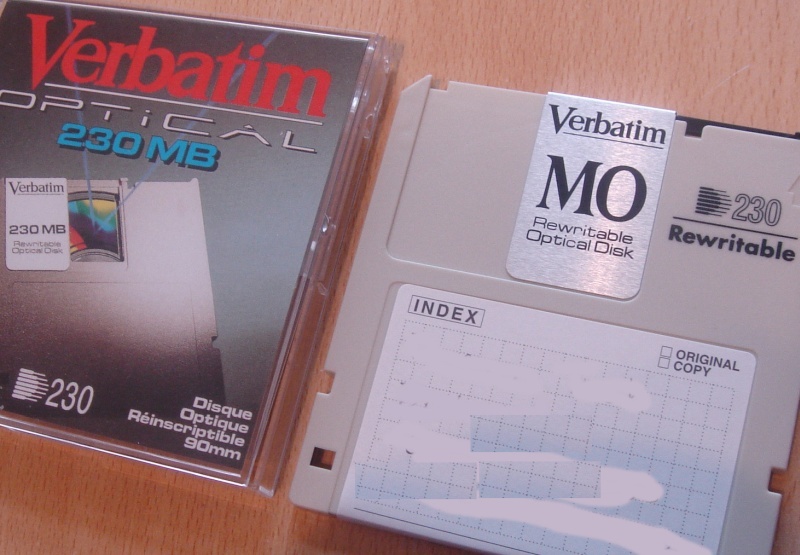 The Disk was written on a Windows PC. The disk is intact, but the customer lacked a drive unit. If you need a Transfer old MO 3.5inch Optical Disk for Data Download service, then contact our friendly company. The customer wrote ... Lacking access to drive units, I needed help to transfer files from an old MO disk and various Iomega ZIP disks. Howard was able to process the disks and return the files. He provided a professional and efficient service throughout. About the recovery - The customer asked us for Optical Disk Data Transfer to Email or Download from 230MB Verbatim 3.5 Optical Disk. The Disk was written on a Windows PC. The disk is intact, but the customer lacked a drive unit. .